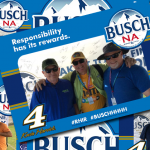 For the first time ever, Kevin Harvick’s race car design was sponsored by Busch NA, the non-alcoholic beer for Anheuser-Busch. 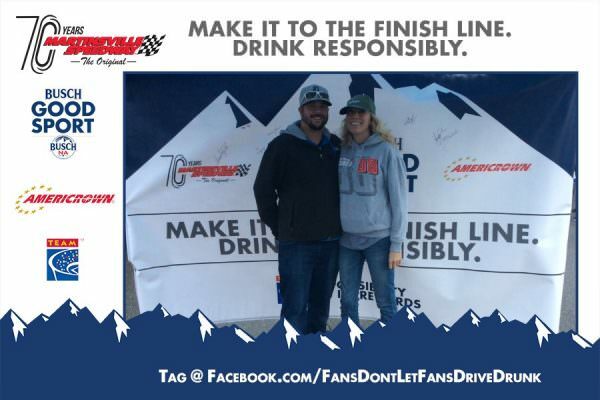 To capitalize on this opportunity, Martinsville Speedway, Busch, Americrown and TEAM Coalition partnered at the First Data 500 race on October 29, 2017 to promote responsible drinking and traffic safety. 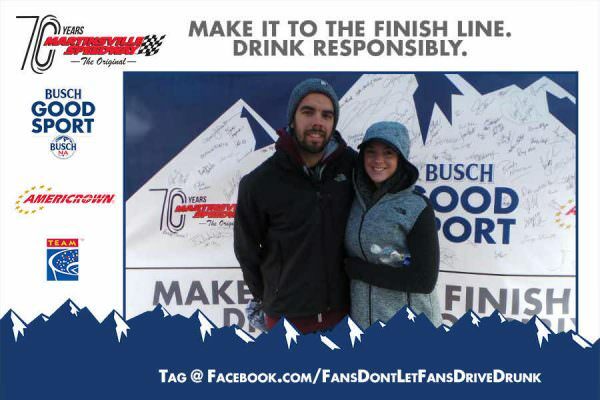 Before the race, 361 fans took the Busch NA Good Sport pledge- promising to never drive drunk and always have a designated driver. 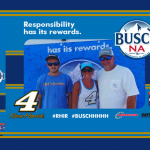 All of them had the opportunity to autograph the responsibility wall, to receive a free souvenir photo and instant prizes and to enter for a chance to be selected as the Designated Driver for the Race. One randomly selected, responsible fan will win the Responsibility Has Its Rewards sweepstakes. 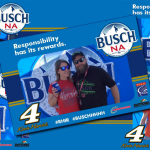 The grand prize includes two tickets and a VIP experience for two at the first Monster Energy NASCAR Cup Series™ race at Martinsville Speedway in 2018. 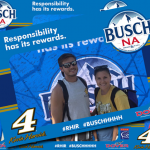 The Designated Driver for the Race from the Spring 2017 race, Jacob Harbour, received two tickets and two VIP Experiences at the STP 500. Jacob and his guest also enjoyed a behind-the-scenes experience before the race on Sunday. Founded in 1947 by the late H. Clay Earles, Martinsville Speedway is only track which has hosted Monster Energy NASCAR Cup Series™ races every year since the division’s inception in 1949. The track is also one of the most modern, with high-rise aluminum chair back seating, corporate and fan suites and state-of-the-art facilities for the media. In a recent poll of race fans by a major publication, Martinsville Speedway was voted as the top bargain in all of Monster Energy NASCAR Cup Series™ racing as well as the track having the best view of the action. Martinsville Speedway conducts three major race event weekends each year. The track annually hosts the STP 500 and the Old Dominion 500 Monster Energy NASCAR Cup Series™ races, the Alpha Energy Solutions 250 and Alpha Energy Solutions 200 NASCAR Camping World Truck Series races and the nation’s biggest NASCAR Late Model Stock Car race.